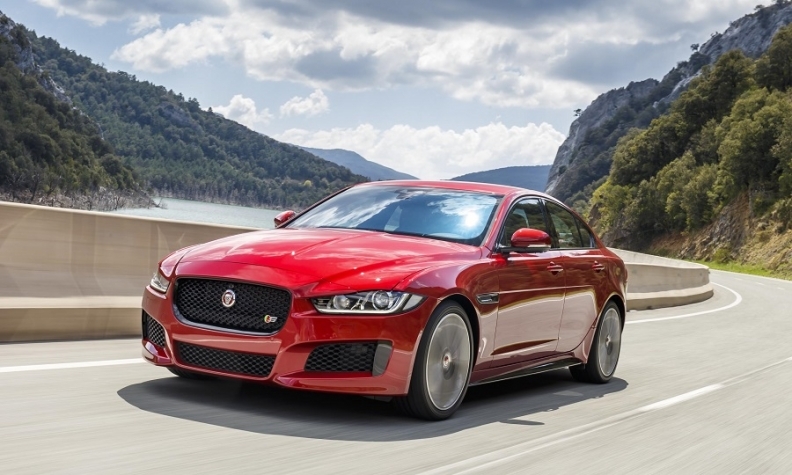 Jaguar XE sales fell 25 percent in the first eight months. LONDON -- Jaguar Land Rover is cutting production to three days at one of its key UK plants as it deals with the fallout from the Brexit vote and a big drop in diesel demand. The automaker's Castle Bromwich plant in Birmingham, central England, will operate a three-day week from October until the beginning of December in a move which will affect around 1,000 staff but avoid job cuts, a JLR spokeswoman said. The plant builds the Jaguar XE midsize sedan, XF large sedan and wagon, the XJ sedan and F-Type sports car. "In light of the continuing headwinds impacting the car industry, we are making some temporary adjustments to our production schedules at Castle Bromwich," the company said in a statement. Jaguar Land Rover's UK sales have fallen 8 percent through August according to the automaker's figures, while European sales excluding the UK have fallen 11 percent. Automakers in the UK have seen sales shift to cheaper cars after the Brexit vote pushed the value of the pound down. That has impacted sales of premium manufacturers such as JLR. JLR also has blamed the industrywide fall in demand for diesel cars across Europe for the declining sales that have impacted more diesel-dependent premium brands. About 90 percent of Jaguar Land Rover's sales in Britain are diesel models, which compares with around 45 percent globally, the company said earlier this year. Jaguar models built in Castle Bromwich have been hit particularly hard, with sales of the XE down 25 percent globally, XF sales down 17 percent, XJ down 45 percent and F-Type down 24 percent. Over half Jaguar sales are now the F-Pace and E-Pace SUVs, suggesting buyers are shunning Jaguar’s traditional sedans. In April JLR said it had cut 1,000 agency jobs at Solihull and had shifted over workers from Castle Bromwich to make up the shortfall. JLR says it has 2,700 workers at the plant, its smallest in the UK, with a production capacity of 53,000 units a year. Earlier this month JLR CEO Ralf Speth warned that tens of thousands of jobs were at risk across its UK operations if the country failed to negotiate a good deal with Europe after it leaves the EU next March. He also said that the government had demonized diesel cars, contributing to job losses at the company. Castle Bromwich was saved from closure when Tata Group bought JLR from Ford Motor in 2008.